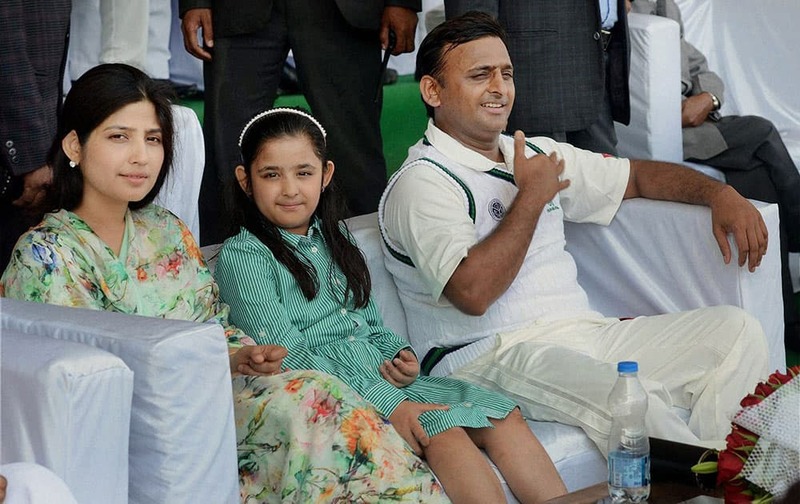 Uttar Pradesh Chief Minister Akhilesh Yadav with wife Dimple Yadav (MP) enjoying the match between CM and IAS Eleven cricket match in Lucknow. 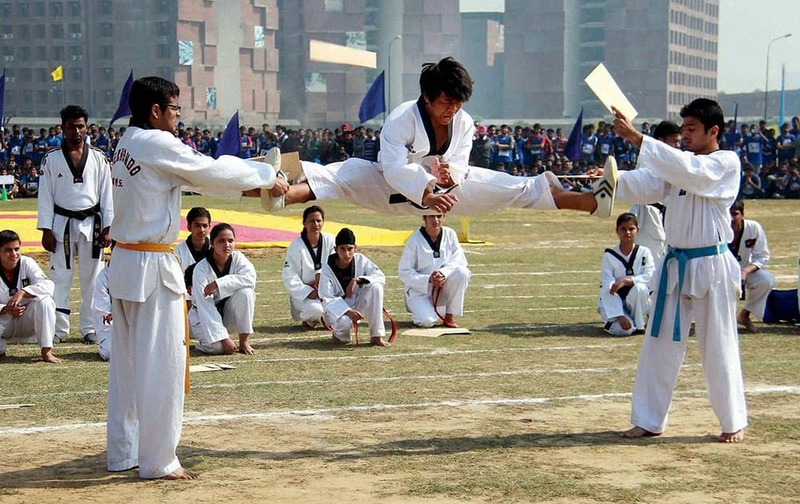 Students perform a Karate stunt during 7th Annual Sports Meet in Jalandhar. 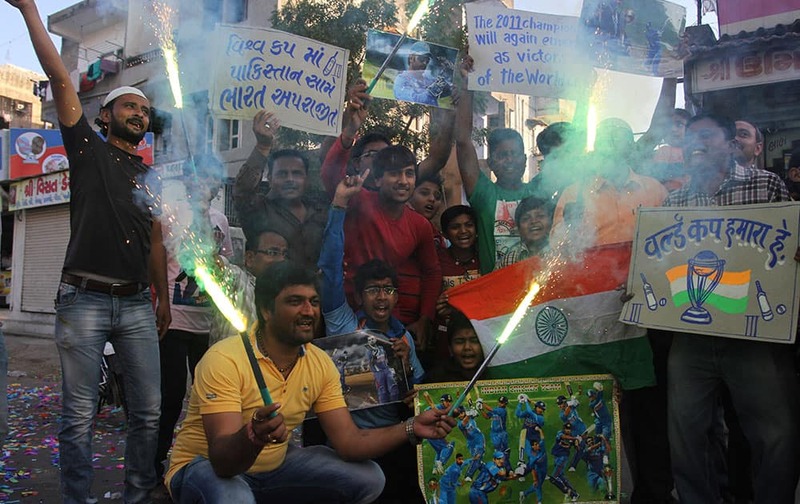 Indian cricket fans pose for the media after India won Sunday's World Cup Pool B match against Pakistan at the Adelaide Oval as they celebrate in Ahmadabad. 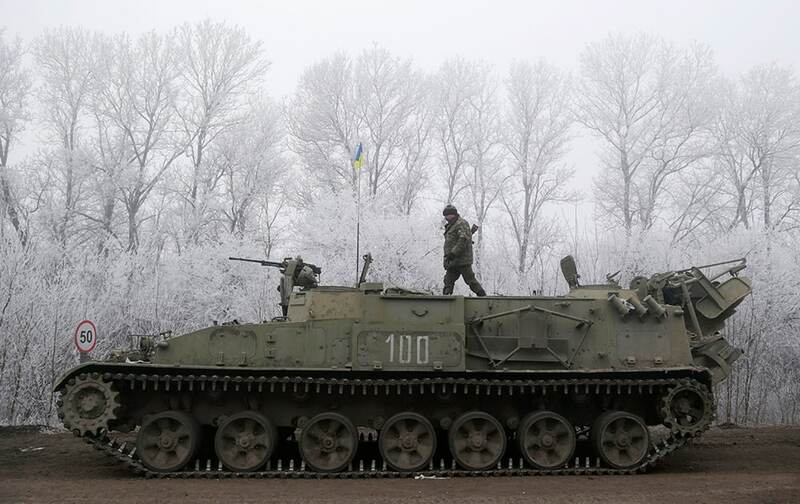 Ukrainian government soldier walks atop of his armored vehicle on the road between the towns of Dabeltseve and Artemivsk, Ukraine. 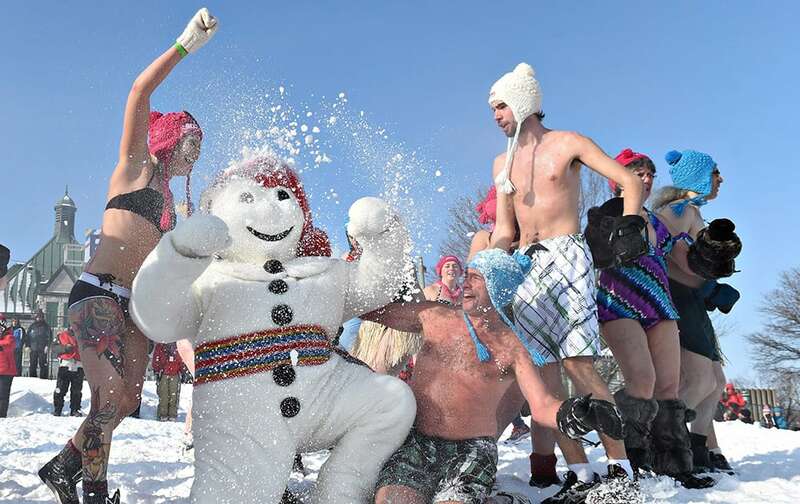 A dancer from the Vila Maria samba school performs during a carnival parade in Sao Paulo, Brazil. 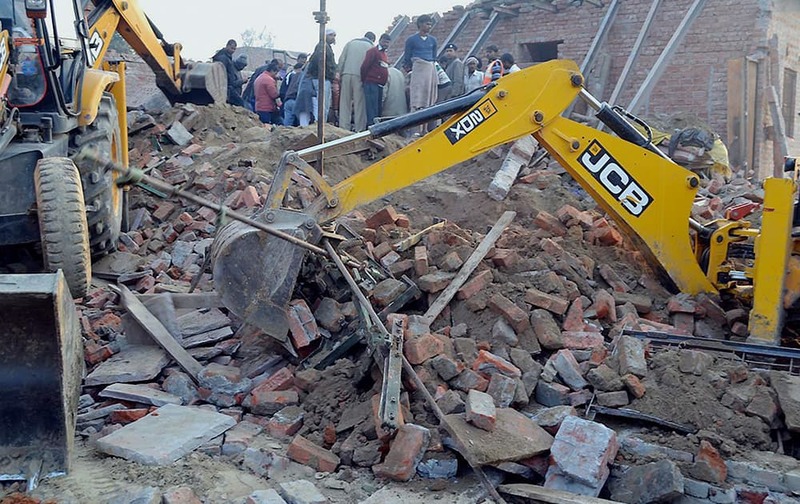 Rescuers use machinery to remove the debris after a building that was under construction collapsed overnight, in the town of Mughalsarai, about 300 kilometers (186 miles) southeast of Uttar Pradesh's state capital of Lucknow. 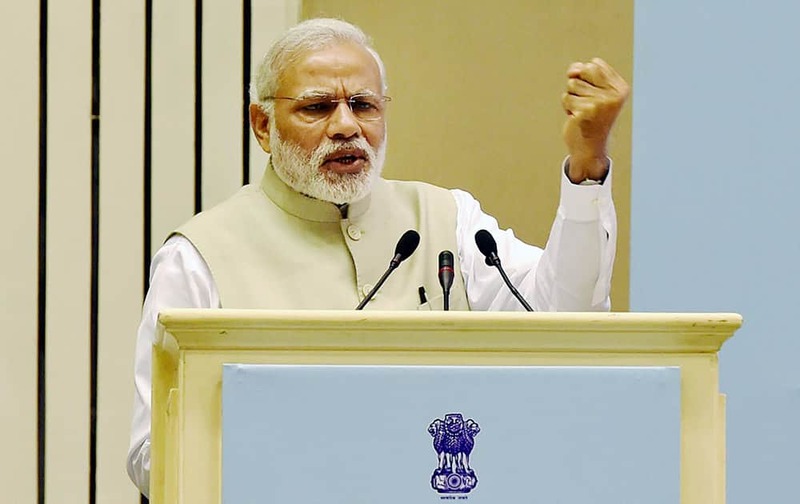 Prime Minister Narendra Modi addresses Re-Invest 2015, the first Renewable Energy Global Investors Meet & Expo. 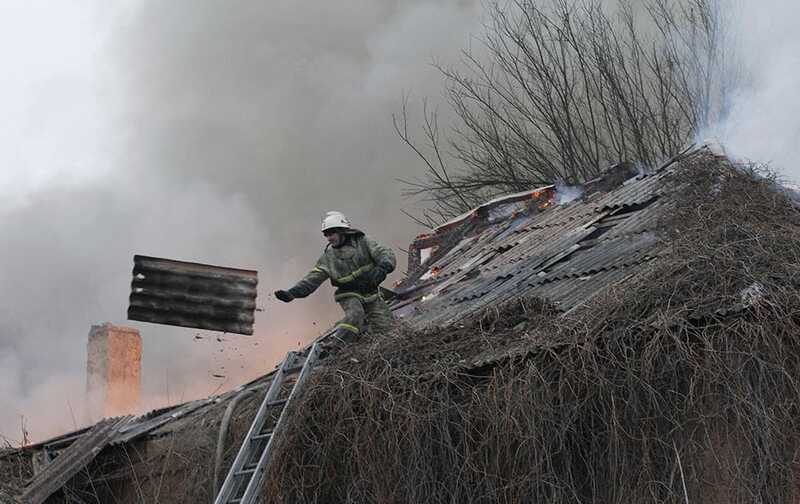 A firefighter dismantles a roof to extinguish a building on fire after shelling between Russian-backed separatists and Ukrainian government in residential area of the town of Artemivsk. 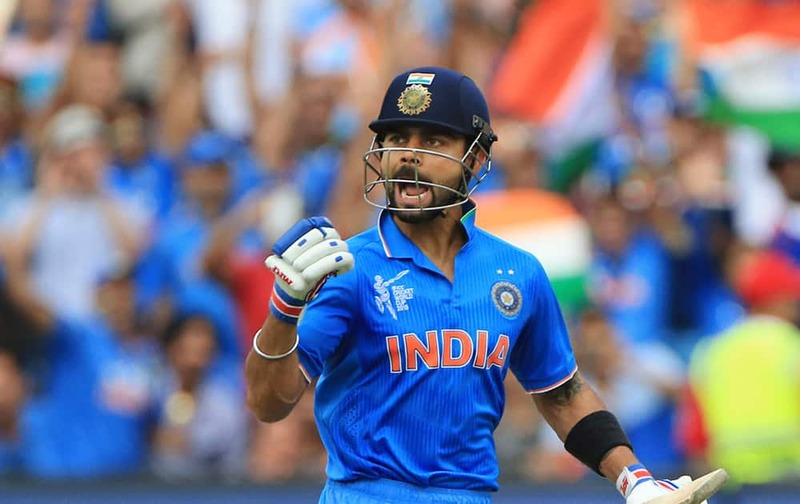 Virat Kohli, celebrates his hundred runs during the World Cup Pool B match against Pakistan in Adelaide, Australia. 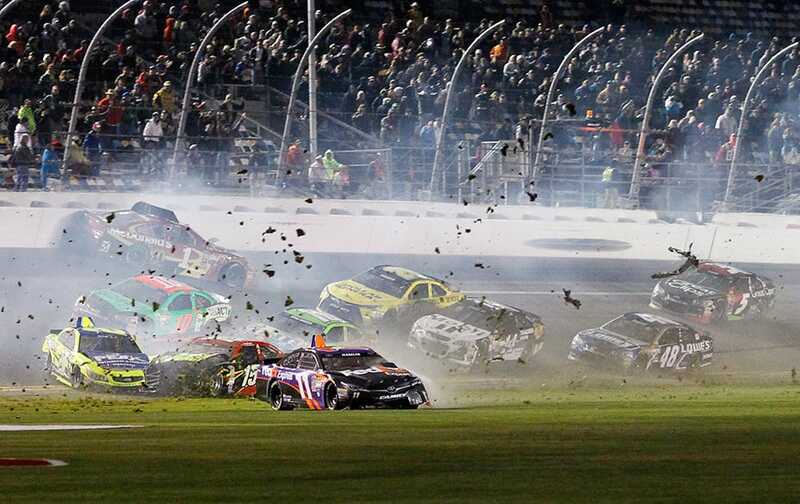 Denny Hamlin (11), Clint Bowyer (15) and others are involved in a multi-car crash on the front stretch during the NASCAR Sprint Unlimited auto race at Daytona International Speedway, in Daytona Beach, Fla.
Caporal dancers perform during the carnival celebrations in Oruro, Bolivia. 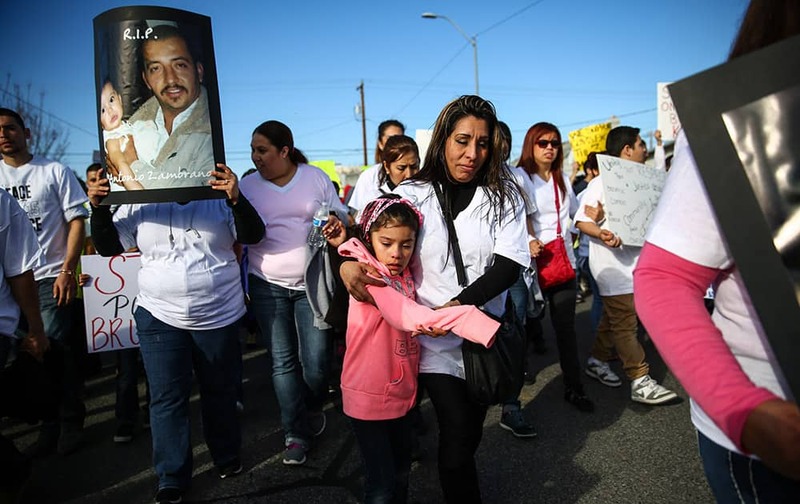 Linda Zambrano and Gina Ruiz, 5, relatives of Antonio Zambrano-Montes, march during for Zambrano-Montes, in Pasco, Wash.
People join Bonhomme Carnaval at the annual snow bath at the Winter Carnival, in Quebec City, Quebec.. 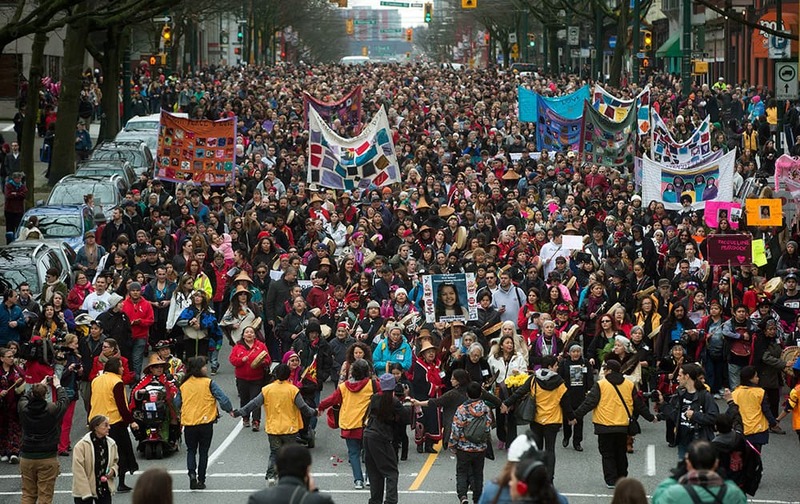 Hundreds of people march through the Downtown Eastside during the 25th annual Women's Memorial March in Vancouver, Canada. 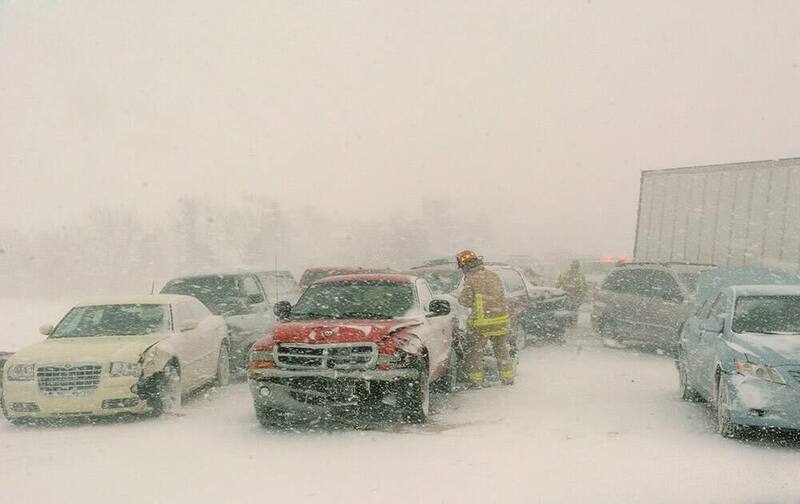 Cars and trucks rest in the median and west-bound lanes of U.S. 30 at the scene of a multi-vehicle crash just west of Columbia City, Ind. A woman, covered in mud, dances during the traditional 'Bloco da Lama' or 'Mud Block' carnival party, in Paraty, Brazil. 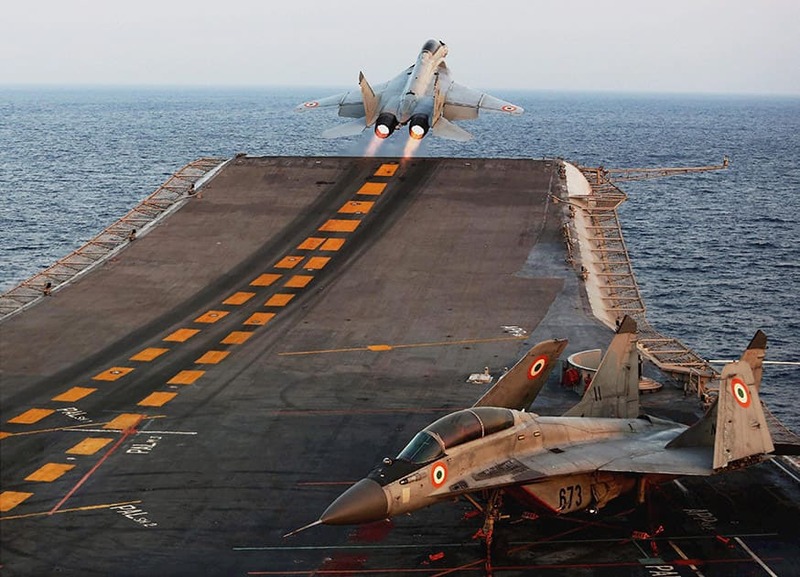 MiG 29K high speed run being demonstrated during Theatre Readiness Operational Level Exercise (TROPEX-2015), off the coast of Goa in the Arabian Sea.